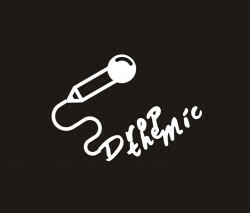 The ‘Drop the Mic’ Project aims to engage the overlapping worlds of songwriting and poetry in an effort to advance participative and kinetic literary arts; integrate communities; increase social and cultural cohesion and understanding; engage youth; contribute to the development of leadership and cultural management skills; build a strong international community of poets and event organizers; and create a sustainable Nordic-Baltic network for knowledge/talent exchange and mentorship via slam poetry. Traditional forms of writing often confine literature to text-based narratives. However the interplay between the mediums of spoken word, slam, rap and hip-hop, songwriting, and poetry traverses linguistic, cultural and artistic barriers and develops infinite narrative possibilities that are often more ‘democratic’ and approachable to audiences. The Nordic-Baltic Slam Poetry Network Project aims to build an international platform of cooperation between writers, poets, and songwriters, as well as the festival organizers and promoters of slam poetry and performative literature that support them, in order to: discuss existing work and trends; support one another; promote work to a greater audience; identify the similarities and differences between slam poetry traditions in the participating countries and develop a sense of regional community as a result; and work towards common international cross-cultural projects in the future. 3. Participation in workshops that teach organizational skills related to slam poetry, as well as the promotion, management skills necessary. 4. Participation at conferences and public events during which resources and information can be shared and circulated to those interested about Nordic-Baltic slam poetry traditions, and leaders/ practitioners from the field can meet and exchange best practices. 6. Advocate for support in preserving, archiving and freely circulating work. The Nordic-Baltic Slam Poetry Network will be composed of three main partners: Reykjavik (Iceland), Tartu (Estonia) and Helsinki (Finland), with two supporting partners: Krakow (Poland) and Heidelberg (Germany). While the tradition of songwriting and slam poetry is long and popular in all of the above-mentioned countries, never has a platform existed for the international exchange of best practices, ideas, and promotion. It would be an asset for young creatives to use the tools of performance, song and poetry to reach each other and new audiences, despite of language and culture. The project targets the people who work with slam poetry and young people, in order to improve their access to information, contacts, international collaboration opportunities, and knowledge required to grow sustainable, educative and enriching slam poetry events. The two supporting cities have been selected on the basis of their experience in this field, and potential for positive contribution to the best practice exchange.